While selling a home can be a walk in the park for some, for others, it can be extremely stressful and an arduously long process. With a plethora of homes on the housing market today, we want you to be one of those people who experience a problem-free home selling process. In order to draw the attention of potential buyers to your house, you are going to want to make it as presentable as possible. Below are some affordable tips to get your home in tip-top shape so that home buyers are eager to make an offer on your house as their next home. One of the first things that people are going to notice when they step into your house is the color of the walls. When thinking about this fact, does it make you comfortable or uneasy? If this fact makes you uneasy, it may be because you have chipped walls, splotchy paint, or a color scheme that would make others question your decision making. To properly stage your house, you’re going to want to paint the interior of your house a subtle color, such as beige, white, or other various lighter shades. The reason for this is that it is easier for people to imagine themselves in a house that has a welcoming tone. Darker colors can also make rooms feel smaller and ceilings feel lower. When you walk into a room painted bright pink for examples, it may be harder to imagine how you would decorate the room when all you can think about is the color of the walls. Fresh paint on the walls, molding, and cabinetry of your home gives it an instant facelift. An average can of paint can cost as little as $10, so when staging your house for sale, painting is a cost-effective treatment that pay off in the end. We tell people not to “judge a book by the cover” but when it comes to a home, buyers are concerned with how it looks on the outside. Landscaping, combined with the exterior of your home, is the first impression buyers get when deciding whether or not to explore further. When you go to a job interview, you dress as presentable as possible, so why not do the same for your home? Make sure to keep the lawn mowed, plant flowers, trim the hedges, and cut down loose branches. While it can take a bit of elbow grease and effort, having attractive landscaping shows that you care about your home and impresses buyers. By improving the landscaping of your house, it makes your home look well put together and allows for buyers to envision themselves in a yard that can be used for welcoming guests, play with kids, and entertaining. Updating simple décor in your home is a perfect way to make it a cozy and welcoming environment. If you find yourself overwhelmed with updating your decor, Excel Moving & Storage has a de-clutter program that is targeted towards people staging their house. In our de-clutter program, we can store many of your belongings for free, for up to three months, while you try and sell your house. This doesn’t mean that you have to go out and buy a bunch of fancy decorations. Instead, consider if updating minor details such as light fixtures, cabinet knobs, and other hardware would help elevate the appeal of your home. Updating these things makes a big impact for buyers, especially since hardware and light fixtures are irksome to install themselves. It’s one of the quickest ways to make a space feel spruced and refreshed. Additionally, you don’t want potential buyers walking around a completely empty or a completed outfitted home, but rather something in the middle. The point is to make the home feel lived in and welcoming, without being overwhelmingly unique or empty in order to appeal to more buyers. Clean up the clutter and store the flashy decorations away when putting your house on the market. The biggest selling point of a home is that a person or family can imagine themselves living in it. 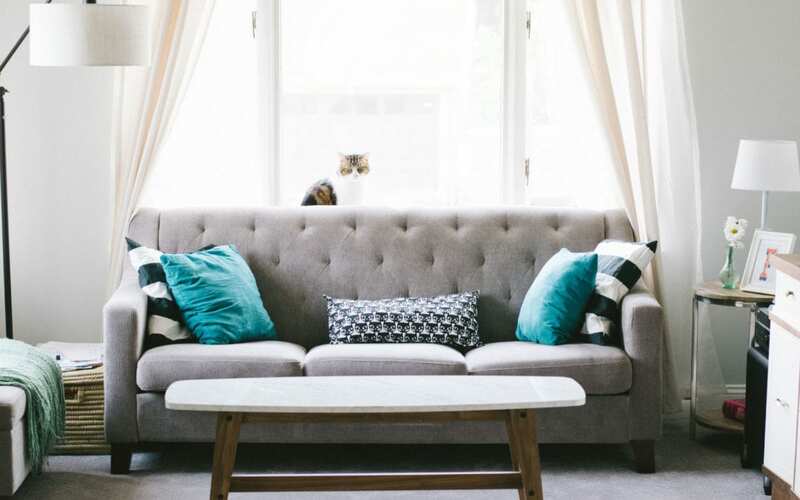 While everyone’s taste is different, creating a neutral palette and décor scheme for your home when selling it, will help more people envision themselves in it. It’s easier for a person to imagine what they could add to a space, rather than what they would have to remove from a space. Storing personal items, toning down unique décor, and creating a neutralized “blank space” when putting your house on the market will no doubt attract more buyers. Once you successfully sell your North Carolina home or if you find yourself buying a home in our wonderful state, you can count on Excel Moving & Storage to accommodate your move. Whether it is a local, national, or international move, we can assist with your transition today. Call us at 919-213-6694 for Triangle assistance or 336-939-6450 for Triad assistance.